Slow Food Orange County has an exciting opportunity to help Orange County schools. Slow Food USA is expanding its National School Garden Program, thanks to a grant by Chipotle Mexican Grill, and Orange County has been selected as one of ten focus areas for the program. The goals are to teach children how to grow and cook food, the importance of healthful eating, and the importance and variety of food from different cultures. You can read more about the program here. SFOC already has experience working with school garden programs. Several projects have been completed in the last year alone. Tustin Memorial Academy received a Slow Food Orange County micro-grant, Ark of Taste seeds, and a hands-on cooking demonstration for students. Annaliese School and SFOC jointly hosted a community Ark of Taste event with local chefs to showcase the importance of protecting biodiversity in our food. SFOC also provided a grant and weekend volunteer workers to the Irvine Outdoor Education Center, where many Orange County students attend science camp and learn about growing food, soil and water management, and pollination. In addition, SFOC has worked with The Ecology Center’s Grow Your Own program to support the teachers responsible for school garden programs. The National School Garden Program and the Chipotle grant give Slow Food Orange County the opportunity to continue and expand its support of school garden programs through a more formal program and through collaborations with other organizations such as The Ecology Center. We need your help to develop this program and make it work. We want to form a working group as soon as possible, so that we can be ready to help with spring garden projects. 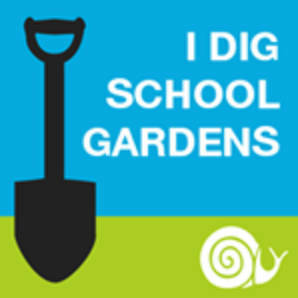 If you have experience with planning, developing and managing programs, edible gardening, or just want to help our schools, please get involved. Contact Linda Elbert at chairone@slowfoodoc.org as soon as possible.